Earlier, veteran Indian cricketer Gautam Gambhir’s Twitter account was also hacked by anonymous hackers on Saturday. 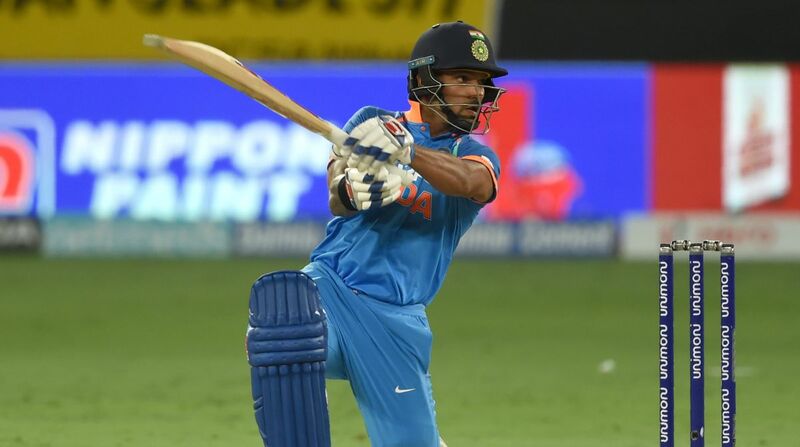 Senior Indian batsman Shikhar Dhawan, who is also quite active on micro-blogging site Twitter, has been facing trouble as his Twitter account was hacked by an anonymous hacker on Sunday. Hi friends, please ignore any messages you may have received from my handle recently. My account was compromised but it has been restored. After hacking Gambhir’s account, the hackers sent out messages to a few popular personalities including the likes of former Australian wicket-keeper batsman Adam Gilchrist, Bollywood actress Chitrangada Singh, and former Sri Lankan cricketer Kumar Sangakkara. After Gambhir’s account was restored, he also posted a tweet and tagged all of them with a warning that hackers might have got some personal information out of them. Hi @gilly381 @MClarke23 @KumarSanga2 @IChitrangda my twitter handle seems to be hacked. Please ignore the messages and I fear that hackers may have got out some personal info from you guys as well. Please beware. “Hi @gilly381 @MClarke23 @KumarSanga2 @IChitrangda my twitter handle seems to be hacked. Please ignore the messages and I fear that hackers may have got out some personal info from you guys as well. Please beware,” Gambhir’s tweet read. My earlier tweets regarding my twitter handle being hacked were deleted. This confirms again that my account is hacked. @TwitterIndia @Twitter @TwitterSupport @TwitterSafety need some action from you guys. “My earlier tweets regarding my twitter handle being hacked were deleted. This confirms again that my account is hacked. @TwitterIndia @Twitter @TwitterSupport @TwitterSafety need some action from you guys,” Gambhir wrote to Twitter asking for their intervention.